My first taste of Stem Chile Guava occurred in Chicago at Bitter Pops, a popular bottle and tasting shop on Chicago’s north side. Stem, Bitter Pops and PorchDrinking.com hosted a fun pumpkin carving and cider tasting event, but what struck this writer—a beer nerd whose come to admire cidersinvolved the complexity of the Chile Guava cider. 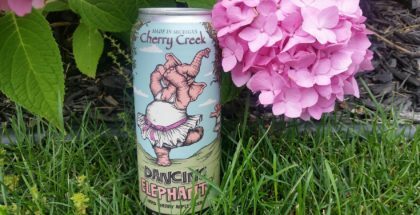 Up front, one notices the crisp apple flavor (from the pressed apple juice) which provides slightly tart and gently sweet characteristics. Just as the taste buds begin to pick up on the sweetness, the spicy heat derived from the guajillo chiles surface. 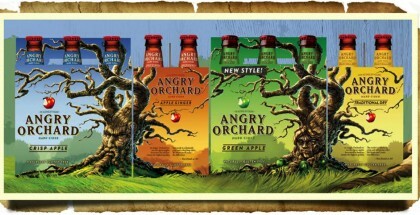 The complex, multi-note nature of the cider differs from its “drink-ability,” which can be compared to a Kolsch-style beer or a well-mixed fruited cocktail. But, as much as Stem Chile Guava is enjoyable on its own, there is no question the cider would shine as an accompaniment to a meal, notably with Mexican food or even an old fashion American meat and potatoes dish. 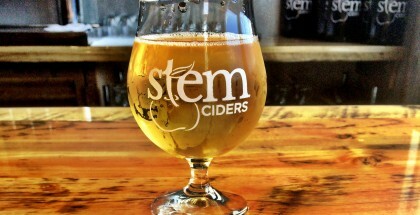 Stem never shies from producing bold cider flavors. 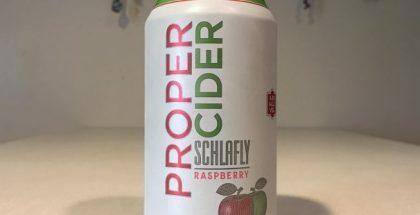 In addition to the Chile Guava, Stem offers such items (sometimes seasonally) as Salted Cucumber, Coffee Apple, Pear, Raspberry and hoppy ciders. But, Chile Guava is a seasonal offering that’s perfect for long nights and cool temps, so grab it while you can. In short, whether you are one who often delves into the cider world, or you are new to the drink, give Chile Guava a try because it embodies the innovation that’s dominating the cider world. More importantly, Stem Chile Guava is an excellent beverage that’s fun to drink.